Spelsburg's RKK 4/05-5x4² is a customizable terminal block housing. It has a flat gray design and is made out of Polysterene, just like the RAL 7035. 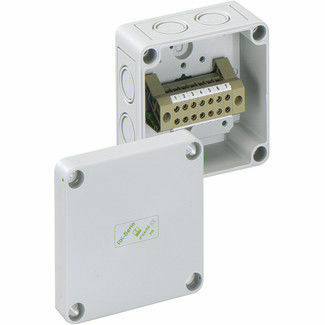 It is equipped with a 5-pole terminal block, with a screw connection size of 0.2-4 mm². 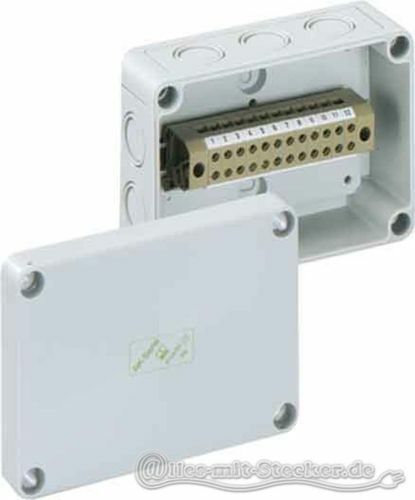 The package includes three attachment bushes M20 and a seal range of 8-13.5mm, and is IP54 protected.